In the face of a jail overcrowding crisis, several Colorado judges are easing the overcrowding by abolishing the requirement that criminal defendants must pay a cash bond prior to trial. If you’re charged with a crime in the Denver area, will you have to pay a cash bond for your freedom – even if you’re innocent? Several judges were swayed by a recent Texas ruling which held that keeping defendants in jail prior to any conviction – solely because they cannot afford bail – is unconstitutional. Other judges are saying there is no actual evidence that cash bonds ensure defendants will return for court appearances. And in March, the chief justice of Colorado’s Supreme Court announced the formation of a commission to study Colorado’s pretrial procedures – including cash bonds. ARE THESE REFORMS AND ATTITUDES PART OF A TREND? The rejection of cash bonds by Colorado judges is part of a larger, national trend to reform the way defendants are treated before trial. If you are accused of a crime, bail is the amount you must pay – along with a promise to appear for your next scheduled court date – to get released from custody. As you know, defendants in criminal cases are supposed to be considered innocent until proven guilty. Historically, however, that principle has rarely been put into actual practice. 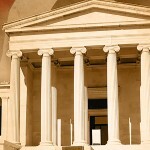 WHAT ARE THE JUDGES SAYING ABOUT CASH BONDS? Day cited a federal judge’s ruling in a 2017 case from Texas. The judge threw out an entire county’s bail system because it was unfairly impacting the poor – a violation of the Constitution’s equal protection clause. Linda Cooke, the presiding judge for the Boulder Municipal Court, has also been eliminating cash bonds, along with several other Colorado judges – but only for defendants who pose no threat to the public. WHY ARE THERE CONCERNS ABOUT ELIMINATING CASH BONDS? Mesa County prosecutor Bo Zeerip said the number of defendants in Grand Junction released on “personal recognizance” or no-money bonds has doubled since 2011. However, many Colorado judges are still concerned about compelling defendants to appear in court. Especially in the Denver-area courts, the failure-to-appear rate is high. Judge Corinne Magid, for example, has mostly eliminated cash bonds, but she insists that some defendants must be compelled to appear in court. ARE THERE PRACTICAL ALTERNATIVES TO CASH BONDS? ACLU of Colorado staff attorney Rebecca Wallace has found no evidence that cash bonds motivate defendants to appear in court. She said something like a text or a phone call actually works better. State Representative Pete Lee (D-El Paso County) is proposing a pilot program to let some courts text reminders about court appearances to defendants. The pilot program would give lawmakers the hard data they need to determine if text reminders alone can reduce the number of failures-to-appear. WILL MORE CHANGES BE MADE REGARDING BAIL AND BOND PROCEDURES? In March, Supreme Court Chief Justice Nancy Rice announced the creation of a commission to study cash bonds and other facets of the state’s pretrial procedures. Chief Justice Rice told the Associated Press that the commission will propose recommended changes after reviewing bail and bond procedures. Concern over disparities in the Colorado criminal justice system have been increasing in recent years. WHY ARE COLORADO’S JAILS SO OVERCROWDED? What are the numbers? The number of persons in custody in the U.S., about 500,000 in 1980, had more than quadrupled – to 2.3 million – by 2008. And Colorado prosecutors filed over 15,200 felony drug cases in 2017, more than double the number of felony drug cases filed in the state in 2012. Anyone arrested and charged with a crime in the Denver area must speak immediately with an experienced Denver criminal defense attorney. Your defense lawyer will work to have your bail lowered or to have you released on your own recognizance. Then your attorney will fight aggressively for justice on your behalf. WHAT CRIMINAL JUSTICE REFORMS ARE HAPPENING IN OTHER STATES? Colorado is not the only state reforming its criminal justice system. In 2014, California reclassified felonies like shoplifting, theft, and check fraud as misdemeanors. And in New York City, most defendants charged with non-violent crimes now post no bail as the city attempts to reduce its inmate population. No one, however, should think that bail reform means lax enforcement of the law. 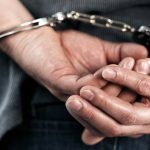 If you are charged with a crime in the Denver area, you must have the help of an experienced Denver criminal defense attorney. If you are accused of a crime, bail is the amount you must pay – along with a promise to appear for your next court date – to get released from custody. At a bail hearing in Colorado, a defendant and his or her lawyer may ask the court to lower the bail amount or to release the defendant on his or her own recognizance. WHEN SETTING A BAIL AMOUNT, WHAT DO JUDGES CONSIDER? Colorado judges have the discretion to set, eliminate, modify, or deny a defendant’s bail. When deciding a bail amount, a judge will take into account the details of the criminal charge, the suspect’s criminal history, the public’s safety, and the likelihood that the suspect will appear or fail to appear in court if released. Everyone charged with a crime has the right to an attorney. If you are charged with a crime in Colorado, exercise that right – do not try to act as your own lawyer. Too much is at stake. A good criminal defense lawyer can provide sound legal advice regarding bail options, defense strategies, and the other challenges anyone will face after being arrested. 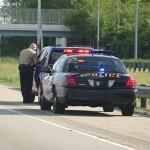 If you are charged with a crime in Colorado, you must obtain a good lawyer’s advice and representation – immediately. Denver criminal defense lawyer Daniel M. Murphy provides clients in the Denver area with aggressive and sympathetic legal representation. He graduated from the University of Denver Law School in 1994 and worked as a public defender before starting his own practice in 1996. He has defended clients accused of the most difficult criminal and alcohol-related charges. He also serves as a Moot Court Judge for Denver-area law students who rely on his mentorship.